Click the Menu icon in the upper, left-hand side of the page. Name the folder and click Create. Name the reel and click Create. 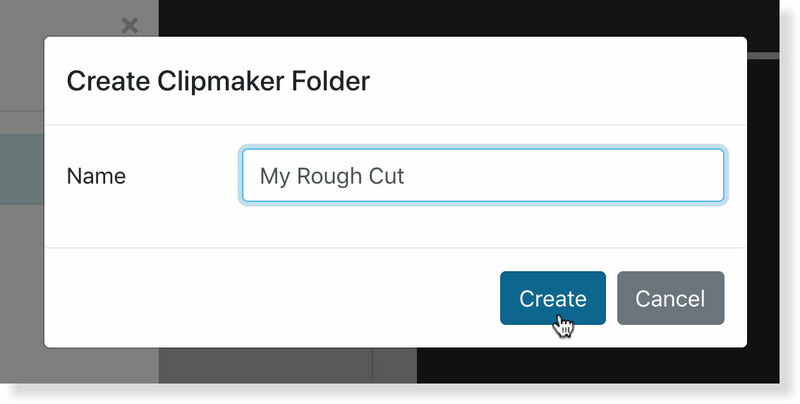 After the new reel has been created, click the folder name to display any clip reels associated with the folder. Next, click the name of the new reel. The folder name and reel name will then display in the upper, left-hand corner of the screen. Click the Media tab to start adding to the clip reel!